During our visit to the Shilin Night Market, we also tried a couple bobas. 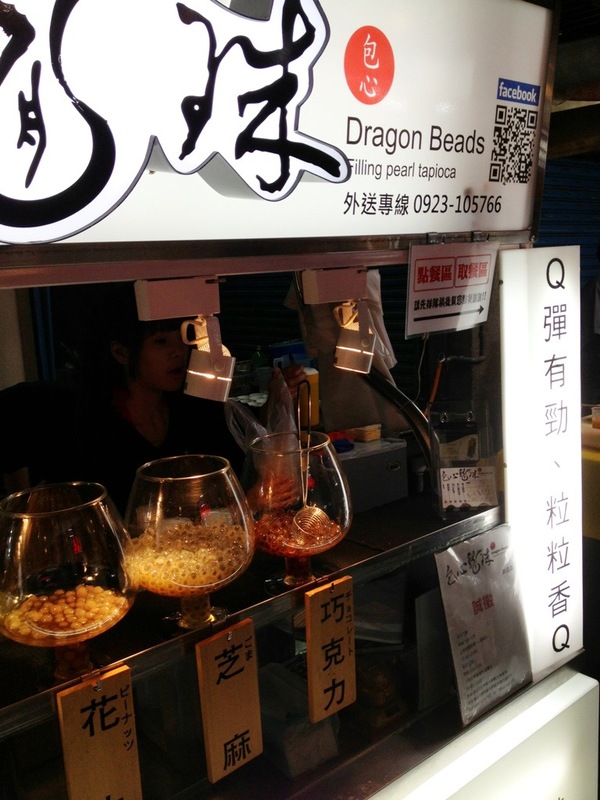 One was forgettable, and one was the Dragon Beads boba – what the stall advertises as “filling pearl tapioca.” Boba filled with flavors. Crazy. 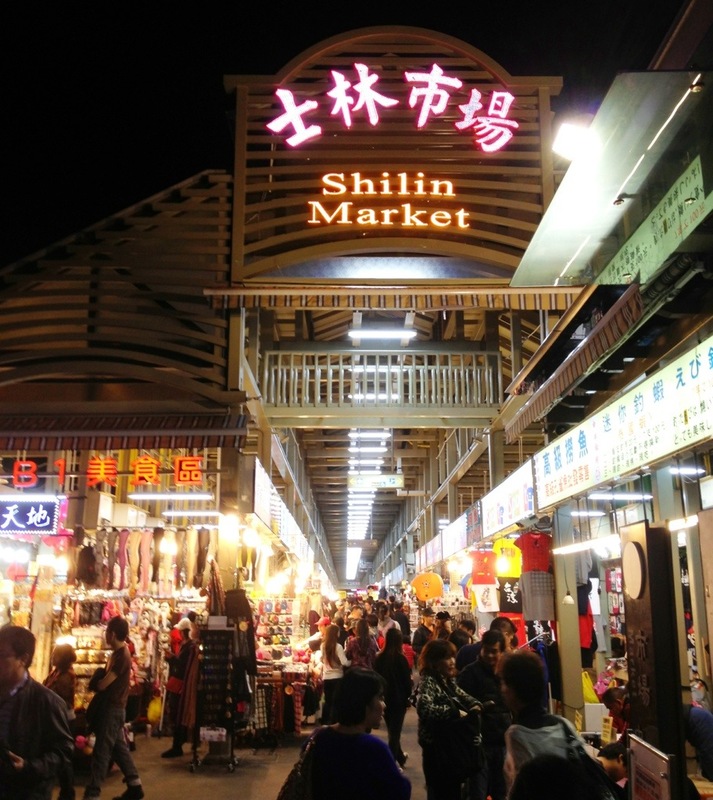 Part One of my trip to the Shilin Night Market is here. Part Two covers what we ate. We started at a stall famous for shen jien bao, pan-fried pork buns. SJBs are one of my favorite things to eat, and this stall draws a crowd. 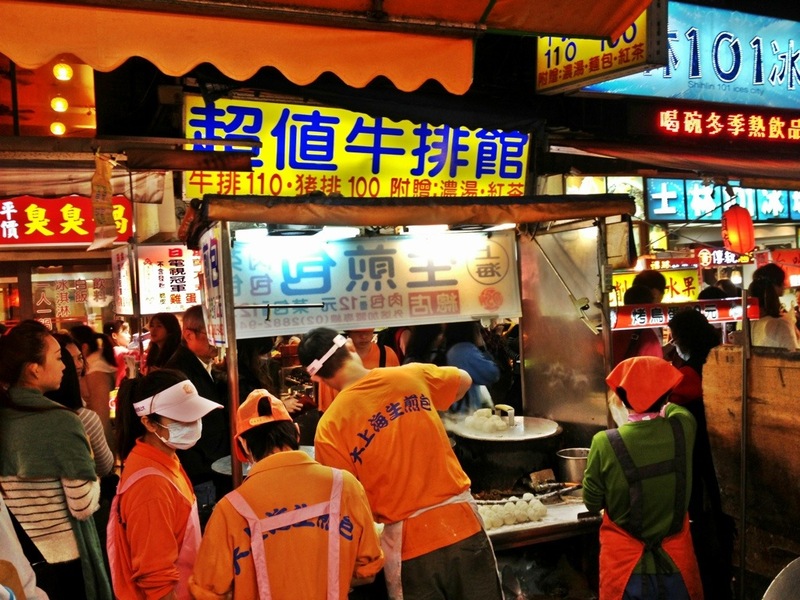 What more can be said of the Shilin Night Market in Taipei? Like every self-respecting fooddouche, I make a beeline for the night market almost as soon as I touch down at Taoyuan Airport. In December 2011, they moved the food court to a permanent location in the basement of a new building (pictured above). I didn’t realize the site I had grown to love was a 10 year “temporary” site. Pictures of the new food area after the jump.